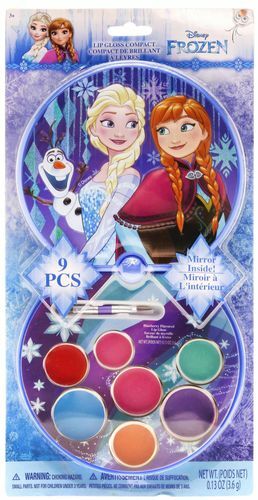 Celebrate Princess Elsa fever with Disney Frozen Lip Gloss Kit! This set is like an artist's dream palette of colours. Filled with choices, this kit has seven colours, which will keep your little one's lips moisturised all through the day. When done, the box can be closed for clean and easy storage.